Vintage looks and sounds with modern construction. 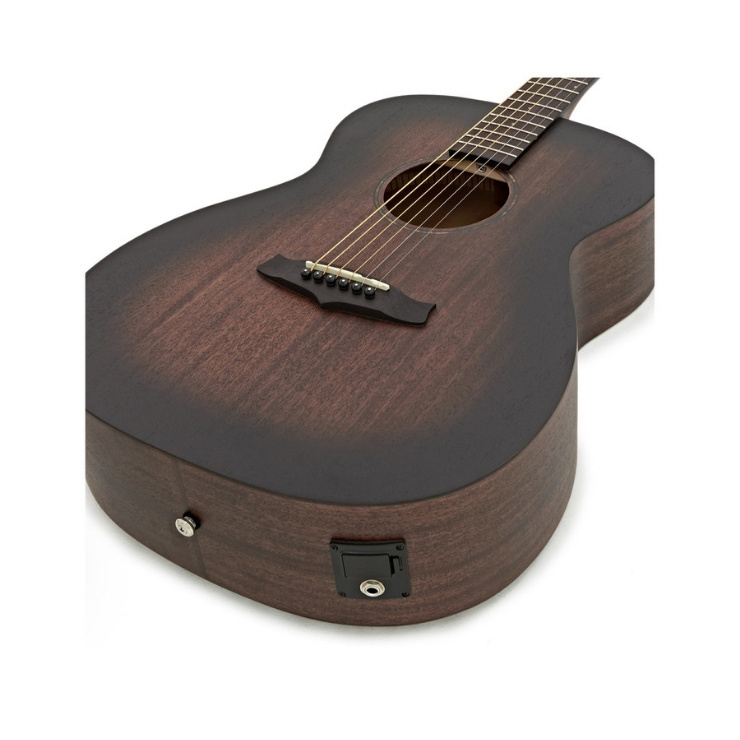 The Tanglewood Crossroads TWCR OE electro acoustic guitar is superb example of quality construction, craftsmanship, and design from Tanglewood's luthiers. The Crossroads TWRC OE is crafted entirely from mahogany, offering a sonically-pleasing experience filled with rich and dark tonalities. Finished in a stunning satin vintage 'whiskey barrel' burst, the Crossroads projects an edgy stage-ready appearance to accompany its crowd pleasing tone. The Crossroads' orchestra body delivers great projection with a deep tone and increased resonance. The TWCR OE also benefits from Tanglewood's TW-EX4 pickup designed to produce a realistic and complementary sound through to your amplifier. Equipped with both premium features and tone woods, this acoustic guitar offers amazing value for money and is perfect for a wide range of players. The Crossroads series has been inspired by the classic instruments produced in America during the 1930s. During the economic downfall, simple undecorated guitars became popular and the wood’s tone was of upmost importance. Tanglewood's master designer, Michael Sanden, chose the wood and measurements to be used on the Crossroad series so that they remain deep in tone, and affordable in price. The Crossroads range focuses on having a neck, body and sound that students and professionals alike agree is even and representative of classic guitar. 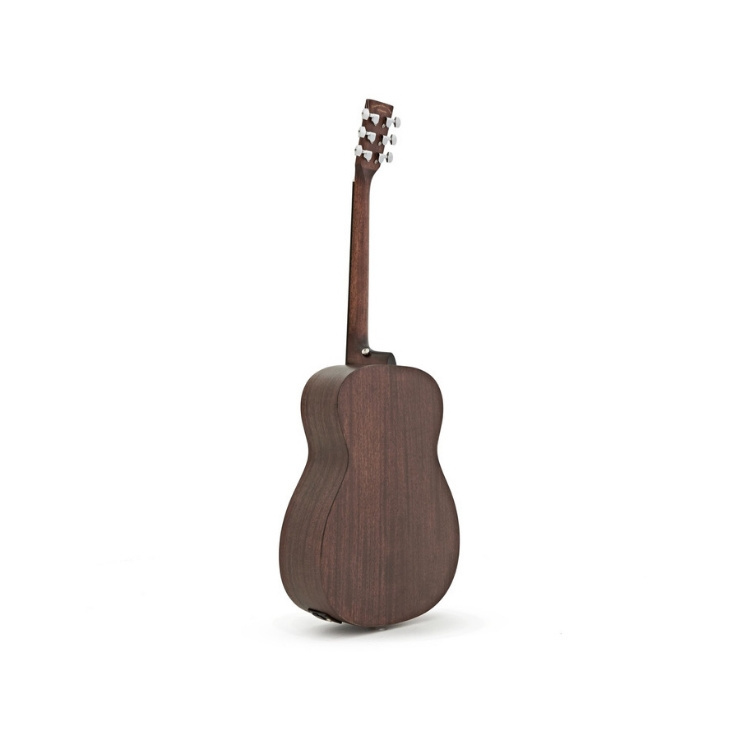 The Tanglewood TWCR OE features an all-mahogany body, which offers durability and delivers incredibly rich distinct warmth. Mahogany also contains distinct character of soft warmth, but is well balanced with a bite of its own. The TWCR OE produces a focused, punchy mid-range, thick well-defined tone, and sings sweet sparkling highs with plenty of characterised warmth. Mahogany is used a lot in the acoustic guitar world because it is relatively economical, durable, attractive, easy to work with, and resonant. As a top wood, the mahogany offers a natural compression, creating strong fundamentals with a clear and direct focus. Used as back and sides panels, the tonewood provides a meaty mid-range, producing punchy, woody tones with plenty of depth and complexity that will please most playing styles. The Tanglewood Crossroads features an orchestra body shape, which shares many of the same sonic characteristics to the grand auditorium. Delivering versatile tones that are well-balanced and suitable for many different genres and styles of play. The orchestra design provides a strong lower midrange and an impressive bass response due to its deep shape. 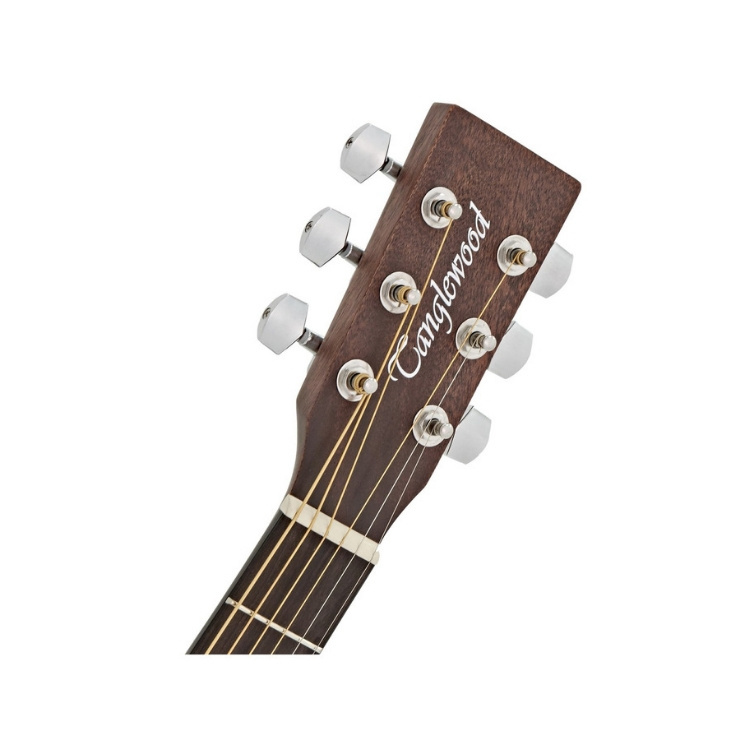 The Tanglewood TWCR OE comes equipped with Tanglewood's own preamp/pickup system, the TW-EX4. This setup features a 4-band EQ which includes slider tone controls for bass, mid, treble, and presence. 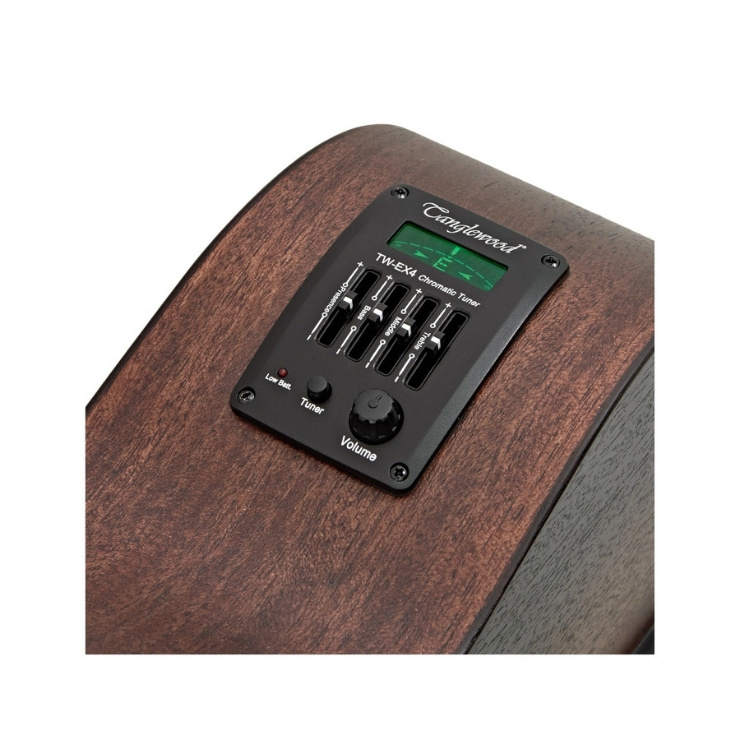 Additionally the TW-EX4 also has a separate rotary volume control and an on-board digital chromatic tuner, offering precise and easy tuning for both practice and gigging environments.